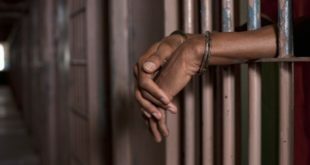 The Central Regional Police Command has arrested four suspects in connection with the stealing of a baby at Asebu in the Central Region. 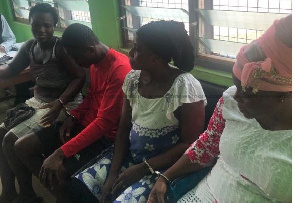 The four; Maxwell Otoo, Florence Eshun, Jariah Abubakar, and Monica Asare were arrested separately in connection with the theft of a child. 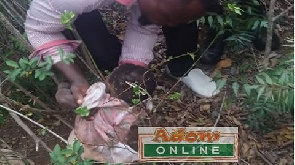 Speaking to Citi News in an Interview, DSP Irene Oppong, the Central Regional Police PRO explained that on April 10, 2019, Comfort Fenyi a nursing mother aged 23 reported to the Abakrampa Police that she left her one-month-old baby in the care of a woman she did not know but can identify. She left to buy medication from a pharmacy only to return to find out that the woman had absconded with her baby. 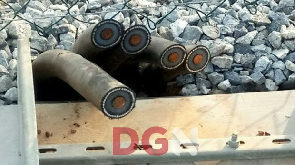 According to the Police PRO, the Police acted upon a tip-off and arrested Maxwell Otoo at Asebu a suburb of Cape Coast. He admitted assisting two other persons to steal the baby. “Maxwell Otoo confessed during interrogations that she assisted two other persons in stealing the baby” DSP Irene Oppong noted. The Police Public Relations Officer also mentioned that suspect Maxwell Otoo again served as a decoy and led police to arrest Jariah Abubakar and Monica Asare at Nyinasin and Abura respectively. Preliminary investigations by the Police revealed that Florence Eshun, a said woman unable to have children approached suspect Maxwell Otoo at Asebu and pleaded with him to help outwit a nursing mother and steal her baby to enable her to save her marriage. 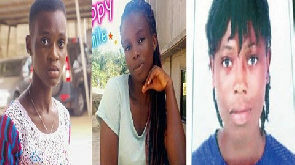 The preliminary investigations again revealed that suspect Florence Eshun on April 10, 2019, went to Cape Coast and came back with suspect Monica Asare who presented herself as a nurse to the complainant. DSP Irene Oppong indicated that Monica Asare who pretended to be a nurse gave the complainant Comfort Fenyi GHc10 and pleaded with her to allow her to carry her baby whiles she buys a cream to apply on the baby’s skin. “Comfort Fenyi came from the errand only to find out that the woman had absconded with her baby” Irene Oppong explained. 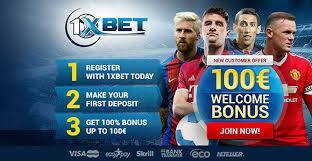 The two suspect Florence Eshun and Monica Asare after achieving their objective fled in a taxi cab to Abura a suburb of Cape Coast. While at Abura suspect Florence Eshun paid Monica Asare 200 GHC and took the baby to Jariah Abubakar at Nyinasin to take care of her, the preliminary investigations revealed. 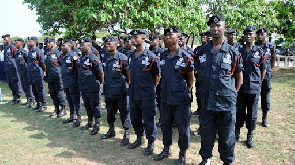 DSP Irene Oppong explained that investigations have started into the matter and the suspects would soon be brought before the court to answer charges.